You’re just settling down for a good night’s sleep when you are brought wide awake by a quiet but penetrating, high-pitched drone – yes, it’s the dreaded mosquito! We’ve all encountered it, and the ensuing fun and games to find the wretched thing. So we can all empathise with Miss Lee in Maria L. Denjongpa’s delightful book Miss Lee and the Mosquito. It will have young readers/listeners laughing with glee at the antics of the wretched mosquito, thanks also to Anna Vojtech’s graphic depiction of the exuberant little creature with an impish face and expressive hands instead of two of its legs. Miss Lee is visiting a friend in a village in Sikkim, in the foothills of the Himalayas in Northern India. She loves sleeping in her friend’s shrine room, with its incense and staues of Buddha and everything seems perfect for a refreshing night’s sleep. However, every evening she is faced by a dilemma because, just as she lies down, she is disturbed by the mosquito – and while she is filled with a desire to kill it, she realises that, as her friend has told her, it isn’t good to kill anything in the shrine room, ‘not even a tiny bug!’ What ensues is an inevitable and hilariously futile series of attempts to get away from the equally determined mosquito. 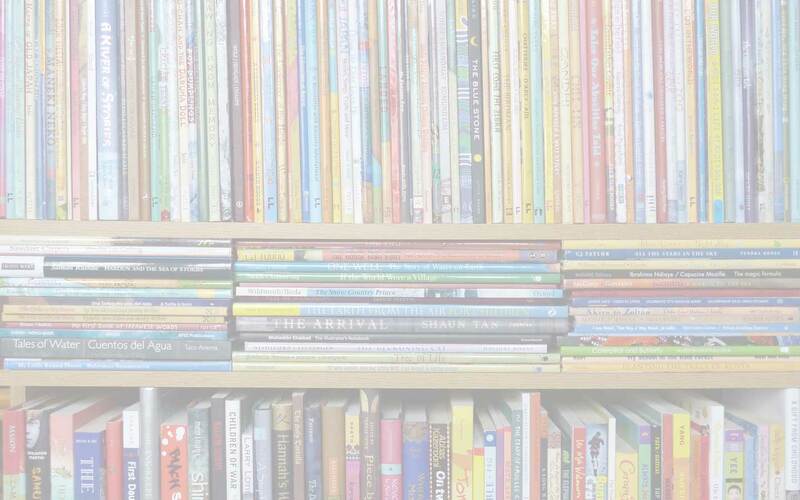 Miss Lee and the Mosquito is a great bedtime story that both parent and child will enjoy over and over again. It is also a special book because, whilst we can all empathise with the story, it is strongly rooted in Sikkim. Its specific location is reflected in the beautiful illustration at the beginning of the story, showing Miss Lee greeting her friend as she arrives in the village. Indeed, Vojtech has dedicated the book to the children of Taktse School, of which Dengjonpa is one of the founding members. Imagine the delight of those children seeing their home depicted here – but this is a stoiry with universal appeal. 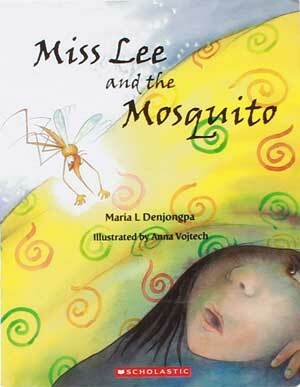 Anna Vojtech, Maria L. Denjongpa, Miss Lee and the Mosquito, MWD book reviews, Scholastic India. Bookmark. I love Miss Lee and the Mosquito for it’s sweet and easy-to-relate-to storyline, where Miss Lee tries everything she can think of (shaking her blanket, waving her arms, puffing and clapping….) to rid herself of the mosquito’s incessant buzzing! The illustrations go beautifully with the prose, and evoke the Sikkimese village where the story takes place. Miss Lee uses a rolled up Hindi newspaper to swat the mosquito away from her. She sits in prayer in the shrine room. But she never tries to kill the mosquito. Then, just as the breeze gently ripples the prayer flags towards the layered mountains outside the open window, and the reader begins to feel the peaceful quiet of a “deep delicious sleep” about to descend on Miss Lee, …. Yes, I love it too – and you’re right about the contrast between the peacefulness of the setting and the hubub caused by the tiny mosquito!